In India’s hard-fought win over Hong Kong in their Asia Cup opener on Tuesday, debutant Khaleel Ahmed shone the brightest. 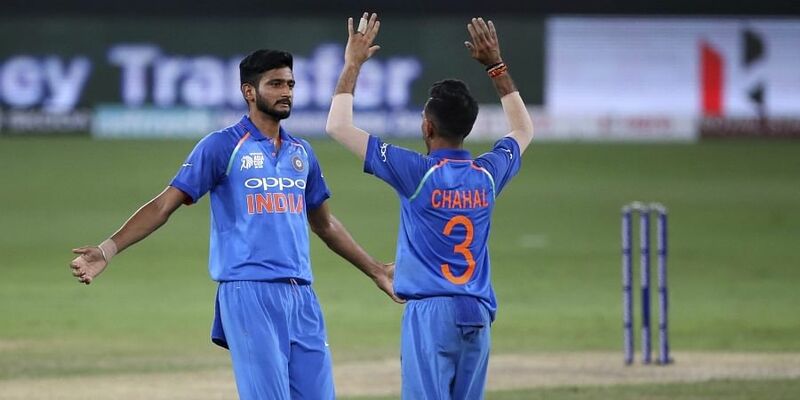 CHENNAI: In India’s hard-fought win over Hong Kong in their Asia Cup opener on Tuesday, debutant Khaleel Ahmed shone the brightest. At one stage, the minnows were 173/0, chasing 286. Stand-in skipper Rohit Sharma turned to India’s newest face in search of a breakthrough. And deliver immediately the left-arm pacer did. Opener Nizakhat Khan (92) was trapped in front of the stumps. He also went on to claim two more to finish with 3/48, becoming the 16th Indian bowler to take three wickets on ODI debut. This despite him not having the best of starts, going for 16 in his first spell three overs. Though Khaleel didn’t go on to feature in the other matches that India played, the self-proclaimed fan of Zaheer Khan had exactly mimicked his idol’s maiden 50-over outing figures. Someone who knows Khaleel well, having mentored him for two years while he was on the Delhi Daredevils roster, is TA Sekhar. The former director of the IPL franchise had chosen Khaleel right after the completion of the 2016 U-19 World Cup, in which the Tonk native had grabbed three wickets. “I remember there were quite a few young pacers up for grabs. Even though the owners wanted other names, my sights were firmly set on Khaleel. He had raw pace and an uncluttered run-up. We got him for his base price (`10 lakh),” the current Bengal bowling consultant said. Over the past few years, India have not managed to find a quality left-arm speedster to replace the likes of Zaheer and Ashish Nehra. They have tried to mould Jaydev Unadkat for that role, but he has not set the stage on fire. That apart, India’s search for a third white-ball pacer to back up Bhuvneshwar Kumar and Jasprit Bumrah has seen the likes of Umesh Yadav, Shardul Thakur and Siddarth Kaul being given chances. But those experiments are yet to yield a concrete result. During his time with Delhi, he came to work under Rahul Dravid (team mentor) and Zaheer (captain). The best possible guidance for a starlet. The lanky speedster made his domestic debut for Rajasthan last season, starring for his state in the Syed Mushtaq Ali Trophy by claiming 17 scalps in 10 games. His domestic showings got other IPL sides interested, and eventually ignited a bidding war that Sunrisers Hyderabad won after an offer of Rs 3 crore. “I remember VVS (Laxman) had come to me to ask me about Khaleel. I told him he will be a future star,” Sekhar revealed.